Organising an Outdoor Event, Don't forget the Chairs! 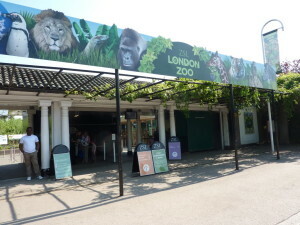 Our latest Anywhere Deck Chairs outing was at ZSL London Zoo who held their annual Silent Cinema event in May. This 5 day spectacular was held in the evening after the zoo had closed and was a great way of utilising the space they had and to raise extra money for the charity. As well as our deckchairs they were able to offer those attending hot and cold drinks, blankets and food. These extras meant that despite any change in the weather their customers would be as comfortable as possible whilst watching a selection of great films. Providing portable seating means that should there be a significant change in the weather then these can be moved to a drier area such as a marquee or a suitable indoor space should you have one. 1) Re-iterate that this is an outdoor event so those attending should be prepared for anything. 2) Inform customers that extras will be available to hire on the day should there be a change in the weather. 3) If the conditions are really bad, try using sawdust or something similar to form a path to the area to prevent a mud bath forming. 4) Think about providing small additional extras free of charge so that the customer will appreciate your efforts and return to other events you may hold, for example small sachets of sun cream. If you are looking for something different when holding an event and chair hire is one of them, then please do get in contact with Anywhere Deck Chairs.